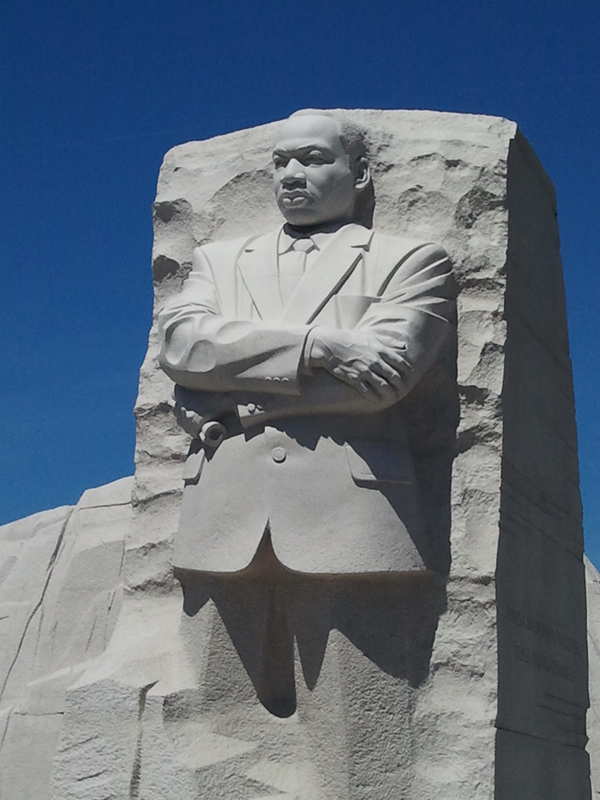 Scaffolding and fences are up today at the King Memorial in order to remove an inscription that some felt mischaracterized MLK Jr.
Those who spoke out did so AFTER the memorial was finished. The change has a price tag of $900,000 and threatens to have the memorial under construction for the 50th anniversary of the March on Washington (Aug. 24). Well, the inscription was an inaccurate paraphrase, but what does the cost matter? It’s all privately funded by voluntary contributions – no tax money, nothing from the Federal budget. Boston University’s Alpha Phi Alpha fraternity, which King was a member of, initiated the project and did the fundraising from 1986-2003. Gates Foundation and a bunch of others like them gave large amounts toward it. I think it matters; he would be appalled. Use that money for scholarships bearing his name, school repairs, home builds…something worthy. It still did not warrant the level of resulting “outrage”…and be outraged when you are given the opportunity BEFORE it’s inscribed. And I don’t know anyone who would charaterize MLK Jr. as arrogant.